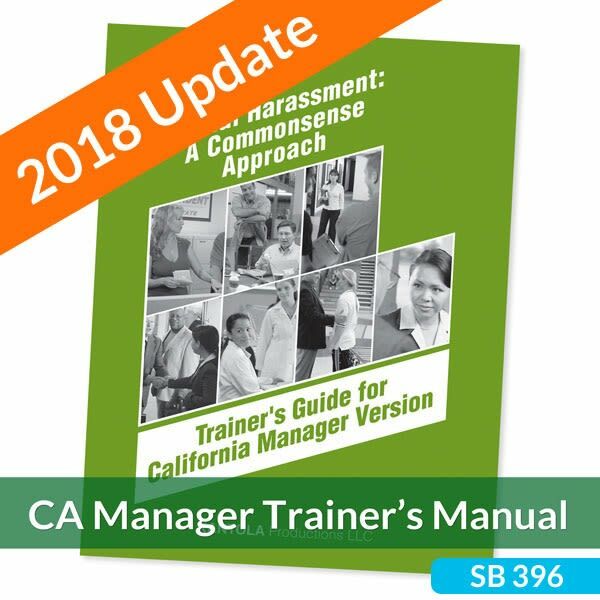 This 96-page manual is designed to help facilitators present a professional training session targeting managers who fall under California training guidelines. Includes workbook contents (with call-outs, possible questions, etc.) PLUS added training tools, such as sign-in sheets, evaluation forms, copies of the California brochure and poster, and certificates of attendance.